Fundraiser by Kerrie Bowtell : Help The Acton OM Team Get To Worlds! Help The Acton OM Team Get To Worlds! 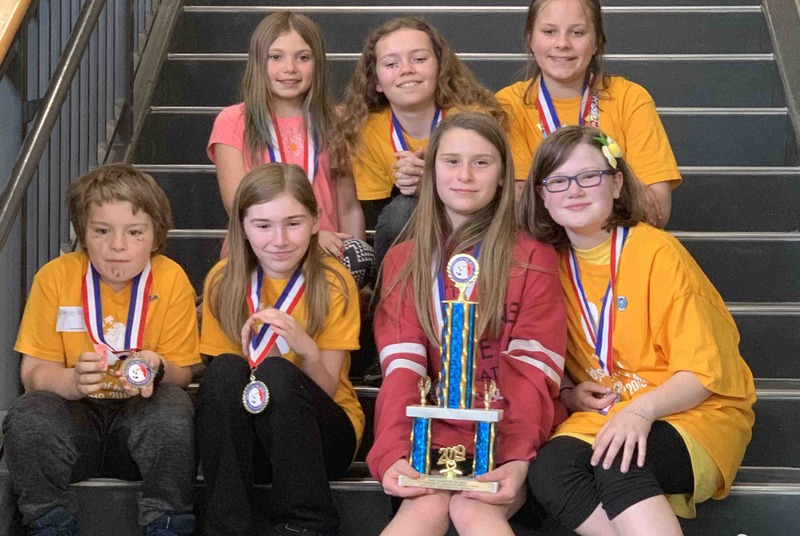 On April 6th, Acton Elementary’s Division 2 Odyssey of The Mind team came in 1st place, becoming State Champions for the second year running! This is quite the accomplishment, especially considering this is a young team for Division 2. On the team, there are two 4th graders -Jacob and Emi, two 5th graders - Jaimie and Linda Rose and three 6th graders - Summer, Jaycie and Sophie. They have and will continue to be up against 6th through 8th graders. By becoming State Champions they qualified to go to the world finals and a chance to compete against 800 of the best teams from across the globe. However, the cost of travel, lodging, food and other expenses for 7 children and 2 coaches to get to Michigan from Maine and the 4 day stay is not cheap and we only have 5 weeks until the big event. We really need the whole community to get behind these kids and show them that their hard work and determination has been worth it. Please show your support by donating what you can or by taking part in one of the many community events we have planned. Odyssey of The Mind is a creative STEAM (Science, Technology, Engineering, Arts, Mathematics) program geared toward teaching children that they can accomplish the impossible. The team members are given a problem to solve and THEY come up with the ideas and create/build their own props and solutions with absolutely no adult or outside assistance! This program truly does provide the kind of critical thinking skills required for new generations to do incredible things in science and technology. Please help and encourage your town team to take one step closer towards their dream of competing at the highest level and showcasing their work with the best of the best.